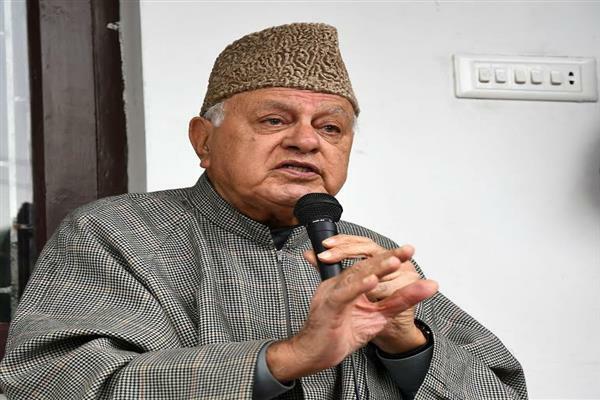 Srinagar, Mar 11 : Jammu and Kashmir National Conference President Dr. Farooq Abdullah on Monday expressed dismay on Election Commission of India’s announcement of not holding assembly polls simultaneously with Lok Sabha elections in J&K saying it is a major setback for democracy in the state. “I am given to understand that the government of India is up to something fishy; however I warn them to refrain from supplanting their setup in the state. Such a move will inadvertently create ruckus in the state. Let me warn them that such a move will prove detrimental to the interests of the nation. I caution them that any attempt to supplant any setup on the people of Kashmir will put the state to flames, which New Delhi would not be able to douse,” he said.